The pub was taken over by two brothers in August this year. They have completely changed the decor of the pub. It has very good cast ales with a guest beer virtually every week. 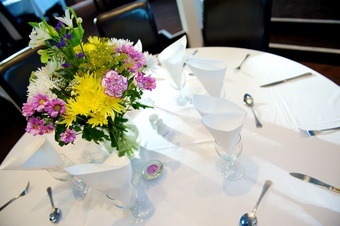 The newly decorated restaurant is very welcoming and with table service. They offer a Sunday roast with a desert for an amazing �4.95. They have something on every night, cheap drinks Monday, Quiz night, Poker and a Karaoke with the best home made balti I have ever tasted. Estate pub that is a little rough around the edges, but is fairly friendly. We weren't expecting it to be open after reading in the Solihull Drinker that it had closed in January. But it was open and 2 real ales were on - Wadworth 6X & Wells Bombardier. A disco was on. It was so loud that the bar staff were having trouble hearing drinks orders correctly. The interior could only be described as tatty and clearly needs a lot of work. Bouncers on the door didn't make the place feel welcoming. The number of children inside at 10pm was also a worry. A pool table on a raised area provides a focal point for young locals, whilst the Chinese restaurant area was closed. I'm assuming this place is under new ownership and hopefully it can get a much-needed makeover. What a transformation. 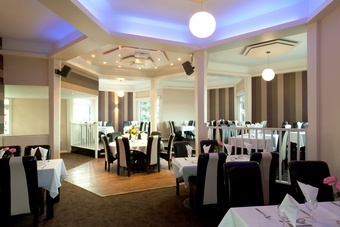 The new manager (well, not so new now) has turned this around - I'm sure it won Pub of the Year for Solihull last year. The Chinese counter is a bit 'Phoenix Nights' :-D but there always seems to be a new guest bitter every time (which makes my pal very excited) and sport is very well catered for. And was that a pole-dancing stage I saw in the other bar...? Now the Golden Acres, this is a quite superb unashamed neighbourhood pub, on a par with the one in Bilton. 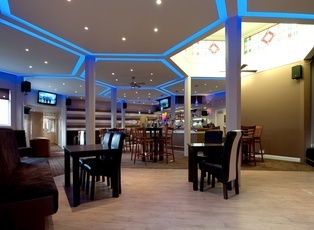 Very family friendly and with live sport and a Chinese takeaway/restaurant. Beer range sensible and interesting, though I sense low volumes are still a challenge to quality. Best thing about Solihull.